The young saxophonist was playing for the first time in France with the quartet that accompanied her on her three records as a bandleader, including the very recent Eatsern Smiles (Odin Records / Outhere). 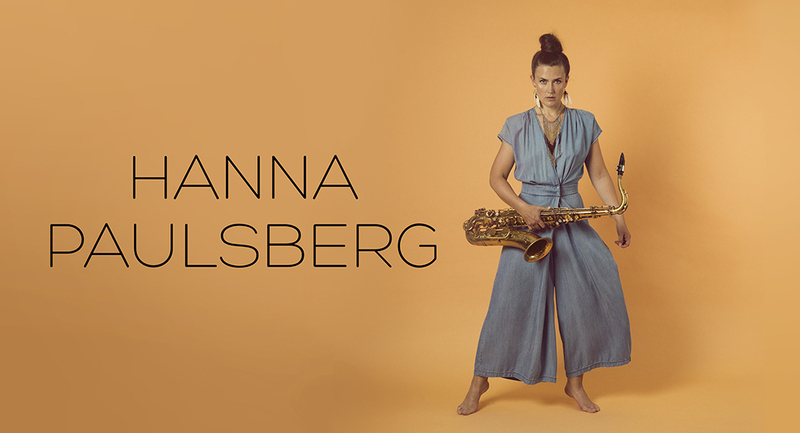 Trained at the famous Trondheim conservatory (on the Westcoast, north of Bergen and Oslo), she played with the finest musicians of the Scandinavian scene, including Bobo Stenson, and shined in New York at Chick Corea’s side, during the Blue Note festival. Her passion for Stan Getz led her to jazz and tenor saxophone, but we can also perceive the influence of Sonny Rollins through her recurrent references to Calypso, the aerial convolutions and this inexhaustible energy. Her finely-shaded playing also recalls Stan Getz, especially because of her ability to project the sound with strength without spoiling the mellow aspect. 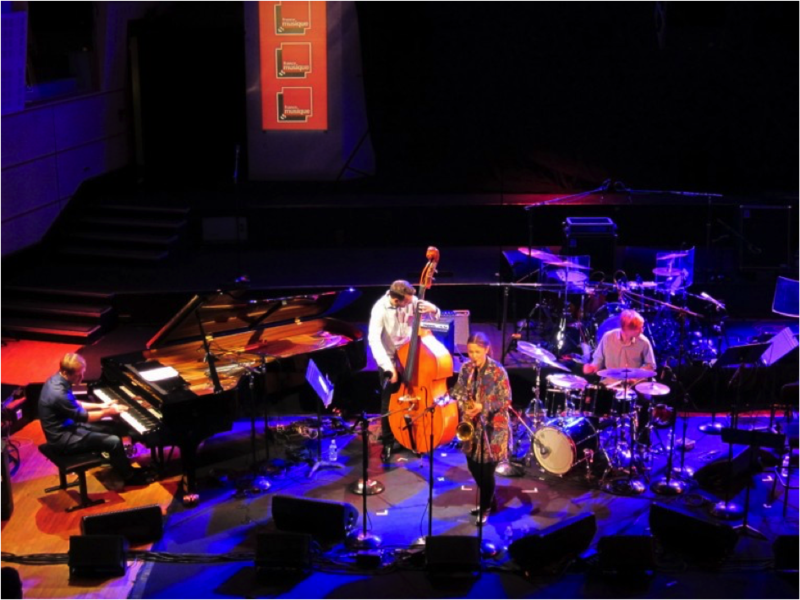 Sometimes, we also think of the translucent and wrapped in melancholy sound that we can hear in Charles Lloyd, but, here, with a more confident accuracy. The tunes and their developments are well built, the band is homogenuous, which reveals a long-time complicity. We can hear, behind the soloist, the trio venturing into a kind of a very relevant collective improvisation, without losing sight of the saxophonist whom they eventually catch up with at the end of chorus. On the first tune, the pianist plays a solo with his right hand playing « out » while the left hand keeps playing the initial harmony, thus creating a kind of bitonal illusion with an expressive strength that is disconcerting. The drummer softly sets up a tension that makes the music lively, and when it comes to the solo during the penultimate composition, he delivers a very energetic polyrhythm, without any affectation or ostentation. A great discovery for an audience, clearly captivated (just like me), and the hope of listening to this great musician again, in a French festival. What a happy person you are! I never been to Paris though I always stop to admire street saxophonists. This music talks straight to soul and distracts from everything, even free plagiarism checkers. I love music and sometimes i played instrument when i have free time from my studies and college because it gives me relief.